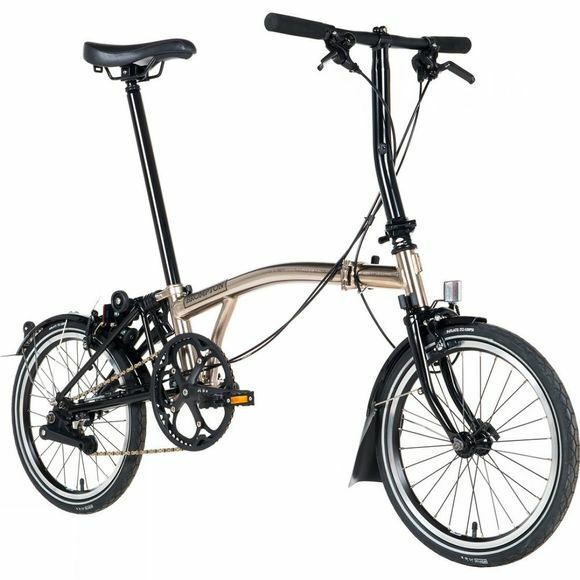 A vivid reflective finish, complemented with all black components - meet the Nickel Edition Brompton for 2018. The S6L model incorporates a S-Type handlebar for a fast-sporty ride position. With the practicality of 6 gears it is more than capable of covering greater distances and even tackling hillier routes. And, integrated mudguards keep you protected from spray even in wet conditions.